"A Quiet Space" - This is a traditional, said communion service, led by one of the Clergy every Sunday, which does not have any hymns or music. The service, which lasts about 45 minutes, offers a quiet space in the week where people who are secure in their faith can come to meet with God and find, and give, pastoral support to each other. On the third Sunday of the month, we follow the 1662 Book of Common Prayer. "Inclusive Celebrations For All Ages" - The ethos of our 10 am services at St Philip's and St James' is to worship together as a united family. We seek to make our 10 am service appropriate for all ages, the style and content comes in a variety of styles and traditions, and we are especially welcoming to families with children. Our music and worship seeks to be contemporary, but with a solid, traditional background, and we aim for our preaching and teaching to be relevant, accessible and able to be applied to our daily lives. After the service we meet together to have refreshments, catch up, and get to know each other. We have an active Sunday School at St Philip's and St James' offering age appropriate worship opportunities and learning activities during the 10 am service to which all children are welcome. N.B. St Philip's and St James' hold joint services at 10 am, so please check the Home Page for details of this week's service. "A Friendly and Traditional Worship Encounter With God" - This is a safe, traditional and friendly place, with a quiet spiritual core, which offers a variety of worship over the month including services with, and without, communion and services specifically focussed on healing prayer. We have a small, growing, friendly and committed congregation, and this service is a great place to come together and encounter God. Everyone is welcome to this informal, reflective service where there is an emphasis on worshipping and connecting with God through contemporary style music, prayer and Bible teaching. "Holy Communion" - This is a small, quiet, welcoming, and caring space where we meet with each other and God, and come around the communion table together. Every service is followed by coffee, biscuits and chat. 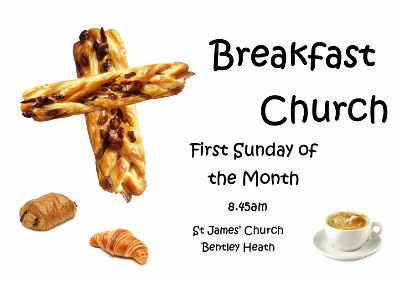 Breakfast Church takes place on the first Sunday of the month, 8.45am at St James' Bentley Heath, and lasts for an hour. Breakfast Church is for people of all ages, it is relaxed, interactive and fun. We start with breakfast (cereal, pastries, juice, tea & coffee) and meet around tables. 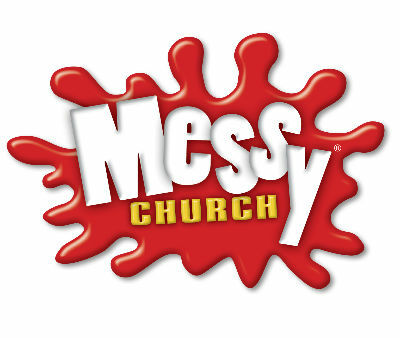 An informal afternoon for families to come to church together, to share in a variety of games and craft activities, a short act of worship and prayer based around a bible story, and always ending by eating together.